Lana Del Rey - 'Summer Wine' New Track & Video. The track is true to Del Rey’s style of being rough cut and almost unfinished. Sometimes we aren’t sure if just leaked or was officially released, this seems to be an official release by her… not sure the label was involved. The track is a cover of the original sung by Nancy Sinatra and Lee Hazelwood (1967). 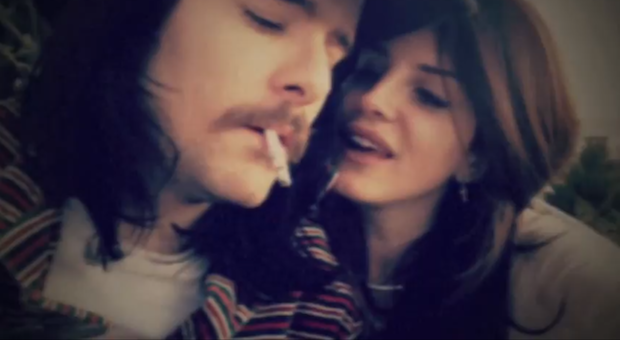 Lana’s version is sung by herself and her boyfriend Barrie-James O’Neill. This is the second cover song Lana has released in the past few weeks, the first was “Chelsea Hotel NO. 2”. Is this all a new attempt to get her American audience to grant some more acceptance? You tell us. BTW… We love Lana Del Rey, a bit too much. If you like the track, grab it here.